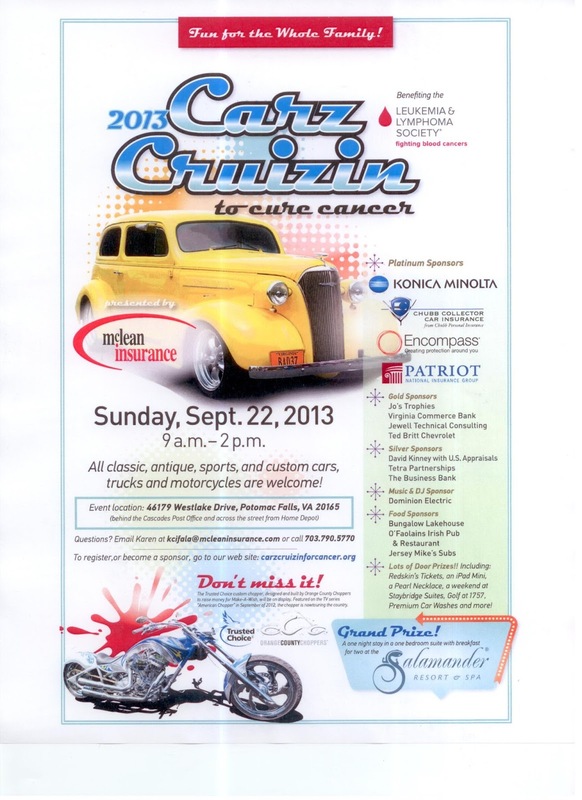 Dominion is a partner in this car show this Sunday 9/22, and it benefits the Leukemia & Lymphoma Society (my favorite charity, as a Hodgkin’s Lymphoma survivor!). So if you like cars or just need something to do on Sunday, please join us! All classic, antique, sports, and custom cars, trucks, and motorcycles are welcome! Event location: 46179 Westlake Drive, Potomac Falls, VA 20165.